What better way to kick start a healthy spring and summer than by taking part in National Nutrition Month? Created by the Academy of Nutrition and Dietetics, National Nutrition Month is a nutrition education and information campaign that focuses its attention on the importance of making informed food choices and ensuring that people are getting enough daily exercise. If you are new to healthy eating or maybe you’re looking to make a change in your diet or lifestyle, there are many different resources that can make the transition an easier one. Choose from this list of reading materials for books that can help you to achieve optimum health. These books are split into categories that may be of interest to children and teens, people with food sensitivities, people with diabetes, women who are pregnant or breastfeeding, or for athletes or people with special dietary needs. These tip sheets may also be helpful, and they are great for sharing with others during National Nutrition Month. Learn how to work more vegetables and fruits into your diet, how to prepare healthy snacks, or how to eat less salt. Eatright.org has a lot of great information for helping you get started. Whether you’re a teacher or a parent, one of your biggest struggles may be getting your kids to eat healthier. Nutrition can be fun, and these quizzes and games might help you to teach kids about nutrition in a fun and exciting way. 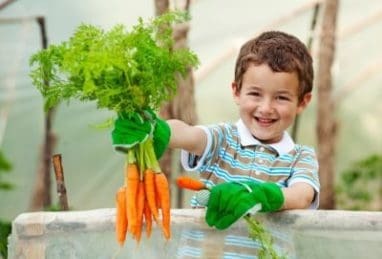 Check out some of these tips for getting kids and teens to eat healthy and remember to eat in a way that you would like your children to, since children are more likely to want to mirror their parents. Eat healthy foods, stay active, get enough sleep, and your children will be more likely to do the same. Your body mass index (BMI) can be an indicator as to whether or not your body is at risk of developing serious medical problems in the future, such as diabetes, obesity, heart disease, cancer, and more. Use this BMI Calculator to determine whether you have a healthy body mass index. If you calculated your BMI and are still interested in transitioning to a healthier diet and lifestyle, the SuperTracker may be helpful for you. It helps you to plan, analyze, and track your physical activity and diet. A healthy lifestyle will help you to feel better, look better, and perform better on a daily basis, but it won’t happen overnight. Living a healthy lifestyle takes time and energy, but that’s why it’s so beneficial. It’s easy to become overwhelmed when transitioning to healthier eating, and it may be beneficial to come up with meal plans a week in advance, especially before grocery shopping. This will make it easier to put together a shopping list and to save money while at the grocery store. It’s so much easier to eat healthy these days with Pinterest and numerous food blogs. Find a healthy food blog that you enjoy and it will make your meal planning a whole lot easier! If you’re already eating a nutritious diet and are living a healthy and active lifestyle, then maybe you want to take things one step further and you’d like to contribute to the green movement. If this is the case, then consider donating your vehicle to Wheels For Wishes and allowing it to be recycled for an excellent cause. Your tax deductible vehicle donation benefits your local Make-A-Wish and helps to grant the wish of a local child in your community. Donate your vehicle today and recycle your vehicle for a good cause. Call us at 1-877-431-9474 or fill out an online donation form. Recycling promotes good health by improving the quality of our air, and it helps to prevent greenhouse gases. Recycling a vehicle may be the perfect way to promote healthy living during National Nutrition Month. Plus, recycling a vehicle may help you to reach your fitness goals by encouraging you to walk or bike rather than driving a vehicle. Recycle your vehicle today!